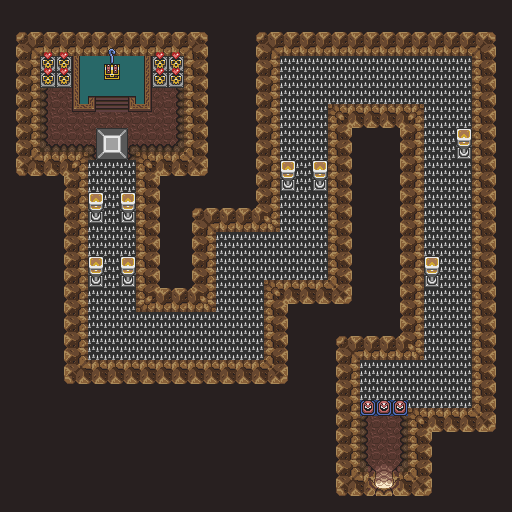 Refers to the cave located in the Dark World Death Mountain Wall of Caves containing a long, winding passage of spikes with a large block and an item at the end. 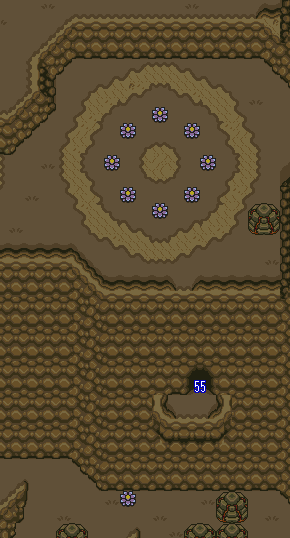 In Vanilla aLttP, this cave contained the Cane of Byrna, an optional item that protects Link from harm in exchange for a slow drain of magic. Thanks to H. Herbert-Lovern for providing map links.